High density decorative stitching on fabric that evolved from handwork to today’s high-speed, computerised multi-head machines. Artwork is converted into a digital DTS file through a manual process that converts artwork into a pattern of stitches. 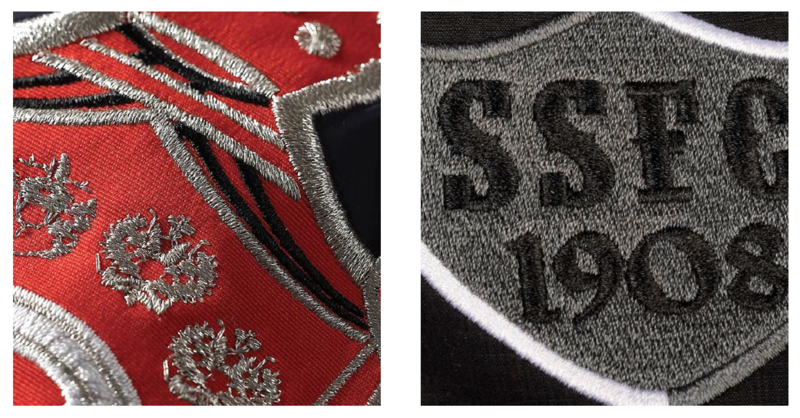 With state of the art embroidery equipment, thread and digitising software. A wide range of effects in both texture and thread colour. Offers both high durability and high perceived value as a way to enhance your brand and company image. A printing technique that uses a woven mesh to support an ink-blocking stencil. High-resolution artwork file is converted to form individual files for each colour, or separation. Each separation image is burned onto a film. These are loaded onto the press. Ink is then applied and pumped into the mesh openings by a fill blade. Medium to large runs are usually done on an auto press, which looks like a carousel. It’s the ideal decoration for a variety of fabrics, large format applications, at a low cost. Suitable for large format applications at a low cost with a large impact. 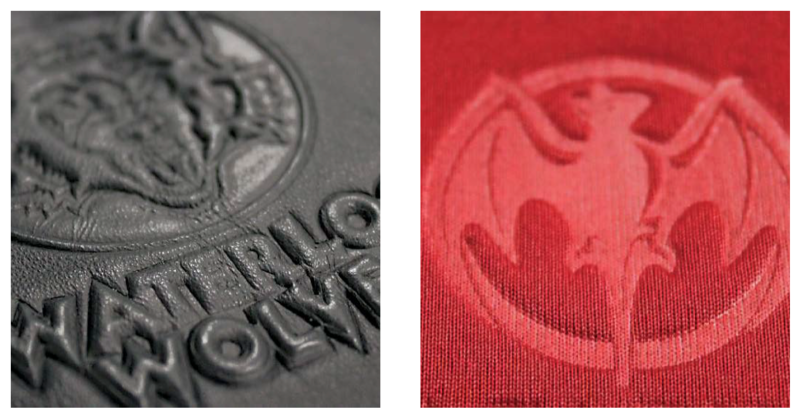 The process of transferring images to a large variety of products without inks or screens is possible with heat transfer application technology. 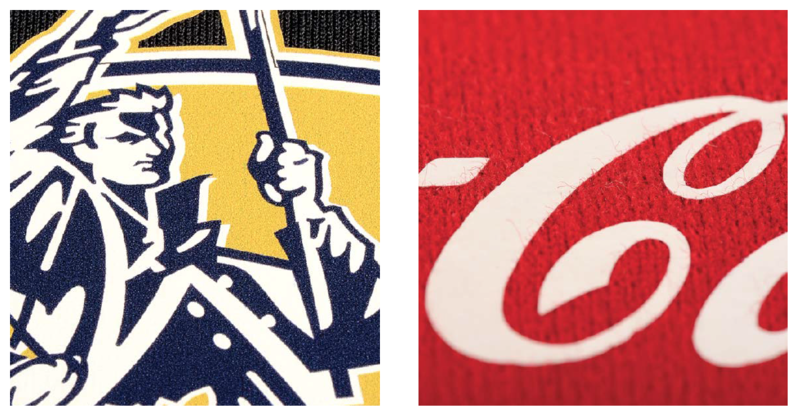 Heat transfer printing works by having a 4-color process printer print your logo on a vinyl media. The transfers are then laminated and applied to fabrics using a temperature controlled heat press using time, temperature and pressure settings based on specific transfer media formulas. Clean and can be applied quickly with high detail. 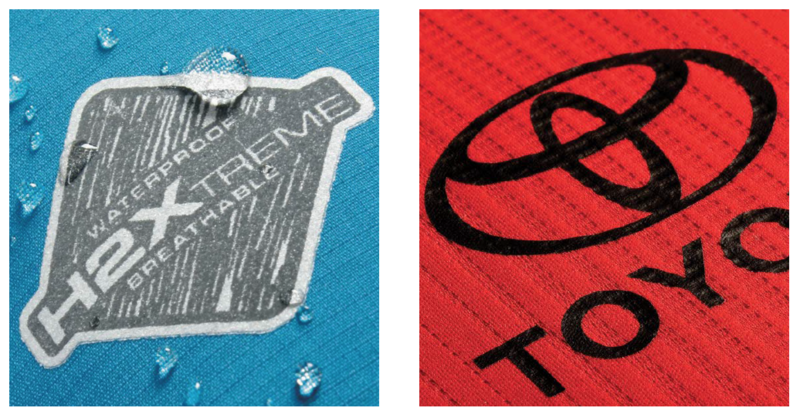 Ideal for waterproof fabrics, athletic and performance apparel. Environmentally friendly inks provide long lasting durability. 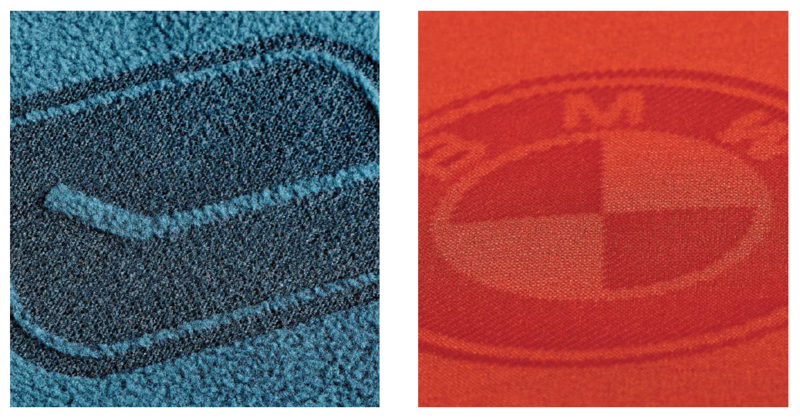 This next generation tone-on-tone decoration technique uses a high energy beam of light to burn the top layer of the fabric to produce an etched contrast. As only the upper most portion of the fabric is etched, the structural integrity of the fabric is not compromised. 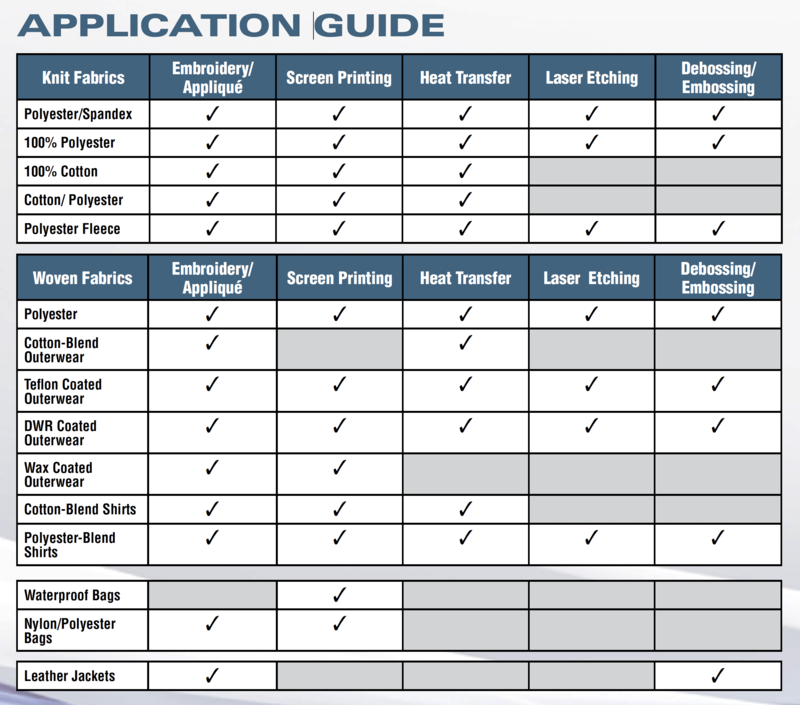 This technique is ideal for etching extremely precise and intricate details into synthetic fabrics such as fleece and polyester. Ideal for tone-on-tone design with extremely precise and intricate details, which can be applied over seams, zippers, plackets, and more. Environmentally friendly and long lasting durability to washing. A dye is created from your logo design and impressed or depressed into the garment fabric using high heat and pressure settings. This combination allows the fabric to take to the shape of the dye for a permanent, premium tone-on-tone look. The nature of this decoration creates a depressed or impressed image on your fabric allowing for a 3D look and feel. There are no additives to the garment whatsoever, making this one of the truest environmentally-friendly forms of decoration. Achieve great detail and intricacy by creating a subtle tone-on-tone effect with a large versatility of design placement. The dye can be used for a variety of projects and fabrics. Using computer assisted sewing machines, appliqué combines direct embroidery and a variety of optional materials such as: wool felt, acrylic felt, polyester twill, cotton twill and much more to create countless decoration choices. 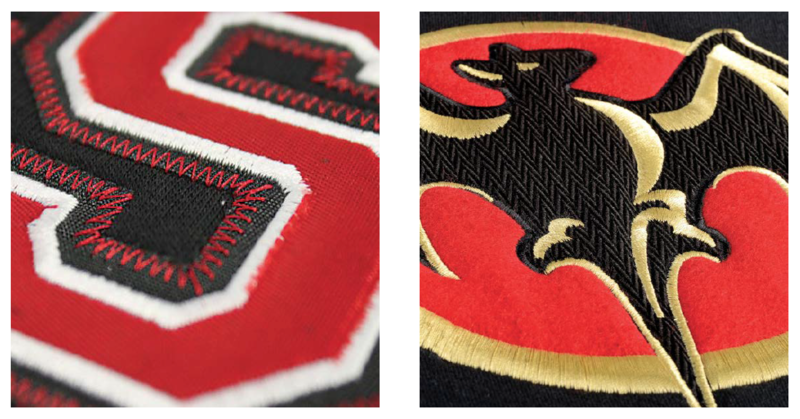 Traditionally one of the more expensive methods of decoration, appliqué designs are used in a variety of promotional, retail, corporate and athletic inspired garments creating an ultra-premium look and feel. Ideal for creating a premium, textured effect with multiple fabrics.